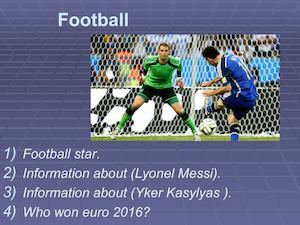 Football 1) Football star. . 2) Information about (Lyonel Messi). 3) Information about (Yker Kasylyas ). 4) Who won euro 2016?